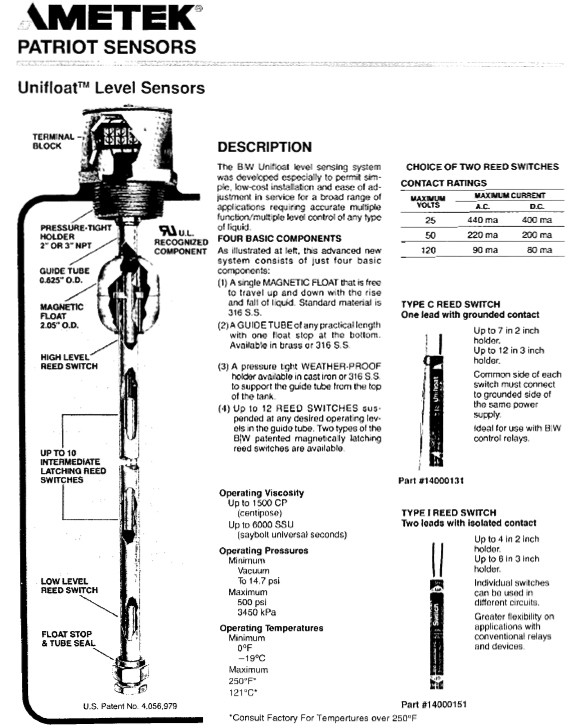 For B/W float sensors , the 7014 Series Unifloat sensor uses a magnetized free-moving float on a guide tube. Inside the guide tube are positioned B/W patented magnetic latching reed switches. As the float passes the switch, the magnetic field opens or closes the switch, which then makes or breaks the sensing circuit. For a pump-down example, a normally open (N.O.) switch at high level would close at the actuation point, completing the sensing circuit and starting the pump. Because of the unique latching feature, the switch remains closed until the float passes below it on falling level. As the float passes back through the switch, it returns to N.O. position. See application notes /specs for the Unifloat. For continuous level monitoring, the Pro-Stik employs B/W's patented magnetostrictive technology. A movable float with an embedded magnet is placed on a guide tube. Inside the tube is a magnetostrictive wire. Level measurement is retrieved by sending a current pulse down the wire. The interaction of the current pulse and the magnetic field produces a torsional strain pulse on the wire.The strain pulse travels up the wire at a known speed and interacts with a pickup device to provide an electronic pulse. The time interval between this pulse and the initial primary current pulse is converted into a 4-20 mA signal which represents the position of the float. Other accessories may be needed, such as wire connectors for wire suspension electrodes, rod connectors and spacers, enclosures, etc. 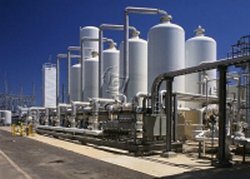 A typical B/W liquid level control system uses the electrical conductivity of the liquid to cycle the pump, or any other power driven device related to the level of the liquid. 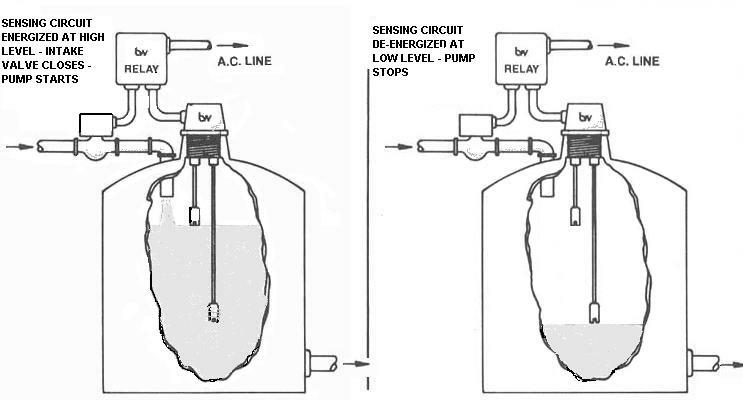 As the liquid rises and falls, it contacts the sensor suspended in the tank, making or breaking the sensing circuit. The sensing circuit is very low energy and varies in voltage.